Create Your Own Web Hosting Business Today! As a Reseller, you can now setup your own web hosting company without the hassle of managing your servers. How does Miss Hosting Reseller Hosting work? Once you have chosen your plan and signed up you will be given instant access to your reseller control panel – WHM (Web Host Manager). 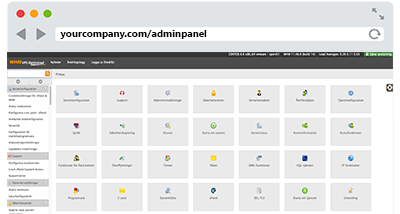 WHM allows you to provide your customers with their own control panel - cPanel. 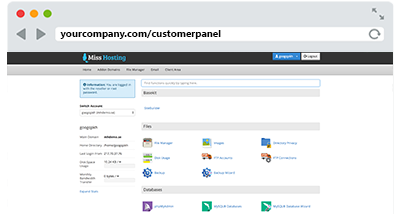 cPanel allows your customers to create and edit their own web sites and also manage their email accounts, sub and addon domains, security, databases and more. You will receive information about how to manage your accounts in your welcome email. Remember, Miss Hosting provides you with dedicated support so if you have any problems just contact us and let us know. Ready to start your own world class web hosting company?